Just as every good city in America needs a great heavy metal band to cheer for, every great heavy metal band needs a legendary van. When Wilmington, North Carolina wants to rock, it turns to Valient Thorr, a ferocious, funny, thought-provoking combo that has been roaring away in the South and beyond since the beginning of the millennium. When Valient Thorr takes to the road, the group has at its disposal a van that can roll through the infrared spectrum, leap planets, and distort time and space. That van is on display in the delirious clip for “Looking Glass”, the latest single from the newest album from Valient Thorr, and a heady trip from the Bible Belt to the celestial realm. If that all sounds far-fetched to you, well, maybe you’re unfamiliar with these guys and the crazy, physics-stretching powers they possess. To hear them tell the story, they’re only here on Earth by accident — they’re from Venus originally, they’ve crash-landed on this rock, and they’ve formed a heavy metal band to bide their time (and spread the thunder) while they get their spaceship repaired. During their stay, they’ve also made some stunning videos, too — clips that make the interstellar ambitions of the group manifest while never taking the project too seriously. And over the band’s run, Valient Thorr has picked up plenty of support from influential earthlings: the All-Music Guide called their 2013 album Our Own Masters “a breath of refreshing, if sweaty, air” and Pitchfork praised the group for its shout-out-loud anthems and frenetic live shows. 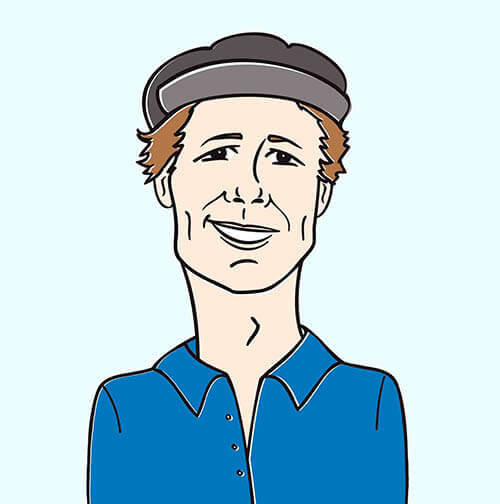 Old Salt, the new set, picks up right where Masters leaves off — the catchy choruses, piledriver drums, screaming six-string, and subtly incisive lyrics are all back and better than ever. “Looking Glass” catches Valient Thorr at the band’s most tuneful, but there’s still a stinging guitar solo that firmly anchors the song in the murky harbor of hard rock. The new clip reunites Valient Thorr with frequent collaborator Jethro Waters, the visionary Asheville filmmaker who directed the Mortal Kombat-inspired throwdown video for “Mirakuru”, another standout from Old Salt. As uproarious as that one was, this one is even further over the top: Waters captures the musicians as they drive their space-van through a streetscape of shifting portals. Volcanoes, eyeballs, and heavy metal rockers appear in the archways of churches, the windows of the van, and on the sky itself. There’s also a cameo that ought to be appreciated by all fans of theatrical metal — Bonesnapper, the extraterrestrial slaver of GWAR, makes a diabolical appearance as the orchestrator of Valient Thorr’s capture in a dimensional prison! Always one of our favorite HIP alumni, it’s a huge source of pleasure for us to have the opportunity to work with the Valient Thorr crew once again. We’re also eager to bring you a sampling of heavy hitting, hard rocking, toe curling fury that has made Napalm Records the world’s premiere Hard Rock record label.. If you’d like to get your hands on a copy of Old Salt, or if there’s anything else we can do to secure “Looking Glass” within your programming, please don’t hesitate to get in touch. Call Andy Gesner and the HIP Video Promo staff at (732)-613-1779, email info@HIPVideoPromo.com. 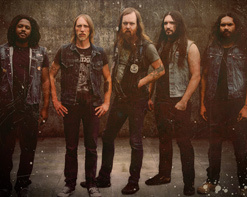 You can also visit www.ValientThorr.com or www.NapalmRecords.com for more info on Valient Thorr.